Agnes passed peacefully on March 29, 2019 at the age of 80. She was a resident of Avalon. 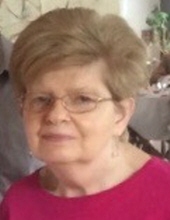 Agnes is survived by her brother Robert (Janet) Woloszyk, sister in law Lois Woloszyk and many loving nieces and nephews, which includes Deborah Woloszyk and Theresa Sarti. Agnes was preceded in death by her parents Joseph and Stella (Blatt) Woloszyk, brother Paul Woloszyk, and her nephew Jarrod Boehm. "Email Address" would like to share the life celebration of Agnes M. Woloszyk. Click on the "link" to go to share a favorite memory or leave a condolence message for the family.